Family of Hadar Goldin to launch petition with Supreme Court against government for failing to return their son from Hamas captivity. The family of an IDF soldier whose body has been held by the Hamas terrorist movement slammed the government for failing to bring their son;s body home for nearly four years. "Netanyahu must establish a clear condition in return for Israel’s humanitarian aid. The return of the soldiers and civilians must be a precondition for any move. We will not allow anything else! 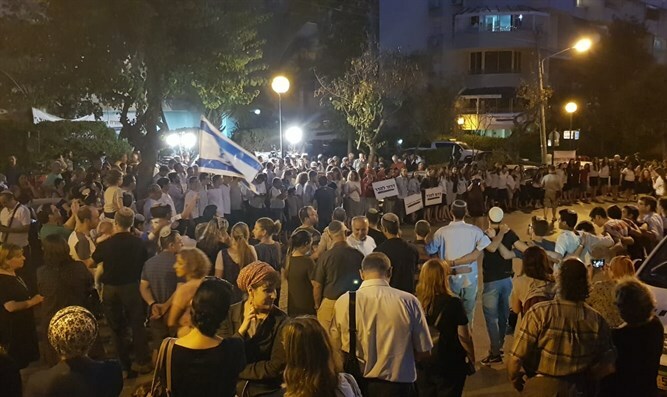 On Tuesday, the Goldin family, through its legal advisors, Prof. Aviad Hacohen, attorney Oded Svorai, and the legal clinics at Shaarei Mishpat College, will submit a petition to Supreme Court against the government. According to the family, a committee of government officials, including Prime Minister Netanyahu, Moshe Kahlon (Kulanu) and Aryeh Deri (Shas), who had the job of dealing with the issue of those in captivity, has not met since the end of 2016. The family stated, “We will turn to the Supreme Court demanding that the two committees begin to work to put pressure om Hamas and produce results. We are turning to the Supreme Court so that Netanyahu will openly expose the submission of an agreement that is now being formulated, which Egypt, US, and UN are mediating. Hadar Goldin was killed in August of 2014 during Operation Protective Edge. His body has been held by Hamas ever since.